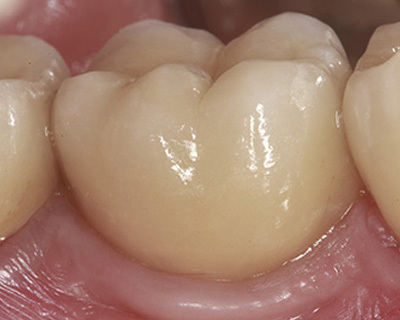 Situations with sloped ridges have traditionally meant a compromise between buccal and lingual marginal bone preservation and esthetics. With the introduction of the OsseoSpeed Profile EV implant, this clinical challenge is solved. 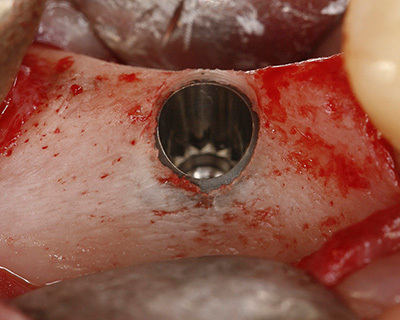 The uniquely shaped implant makes it possible to achieve 360° bone preservation around the implant. The hopes and dreams of the patients sitting down in the dentist’s chair are not primarily to get an implant. Rather, the treatment supports a greater need—the ability to dare to smile again with confidence, to socialize naturally with family and friends and, quite simply, to enhance the quality of life. Since the first implants were developed 50 years ago, the innovation has enriched the lives of people worldwide. And the development is constantly moving forward, with new solutions that improve people’s wellbeing. At the same time, there are cases and situations where there are greater challenges to satisfy both esthetics and function. 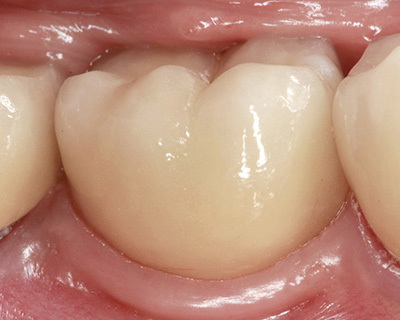 One such situation is when you have patients with sloped ridges. The occurrence is common, and it has been a challenge to find esthetically pleasing and long-term functional solutions for these patients. There are several reasons for this. 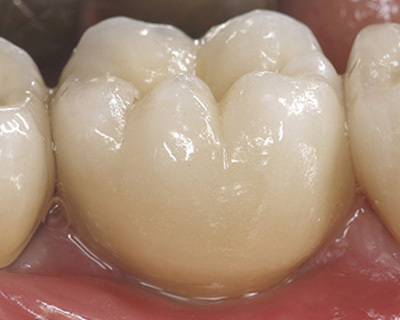 It is a clinical reality that the bone crest resorbs after tooth extraction or tooth loss. It is also well known that remodeling has been shown to be more pronounced on the buccal side than on the lingual side, often resulting in a sloped alveolar ridge. This condition occurs even if a standard implant is immediately placed in the extraction socket. The clinical situation means that there has previously been no optimal solution for treating patients in sloped ridge situations. When a standard implant is placed level with the lingual bone, the implant neck is exposed and the esthetic result is compromised on the buccal side. On the other hand, when a standard implant is positioned level with the buccal marginal bone, unsupported lingual marginal bone will be lost and the mesial and distal marginal bone levels, as well as soft tissue height, are compromised. Today, these challenges are met with an innovative implant concept, uniquely developed to follow the alveolar ridge and designed to help reduce the need for bone augmentation procedures. The OsseoSpeed Profile EV implant, part of the Astra Tech Implant System EV from Dentsply Sirona Implants, provides a unique opportunity to efficiently create esthetic, functional and patient-friendly solutions. Implant placement of OsseoSpeed Profile implant. Prosthesis delivered at 5 months. Read the Scientific Review on OsseoSpeed Profile implants.